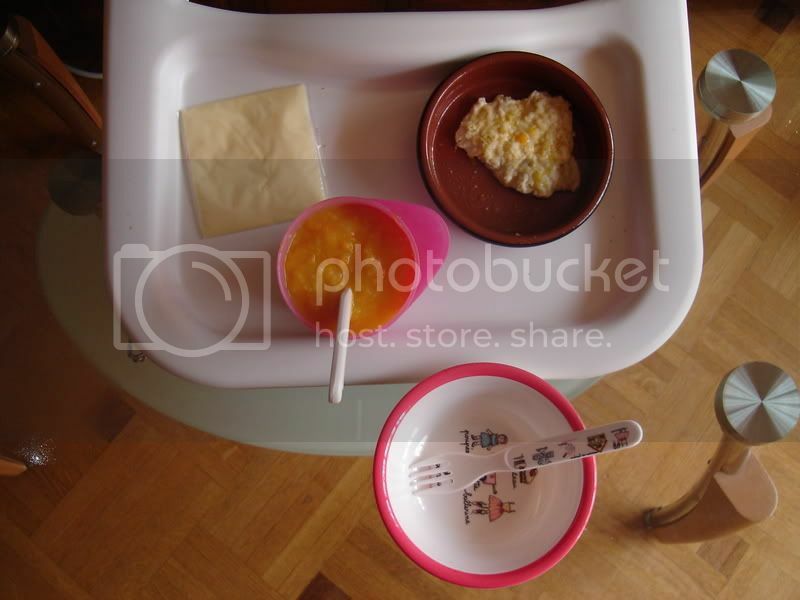 Across 2 Cultures - Cross-Culture Parenting and Lifestyle Blog: Meal times! 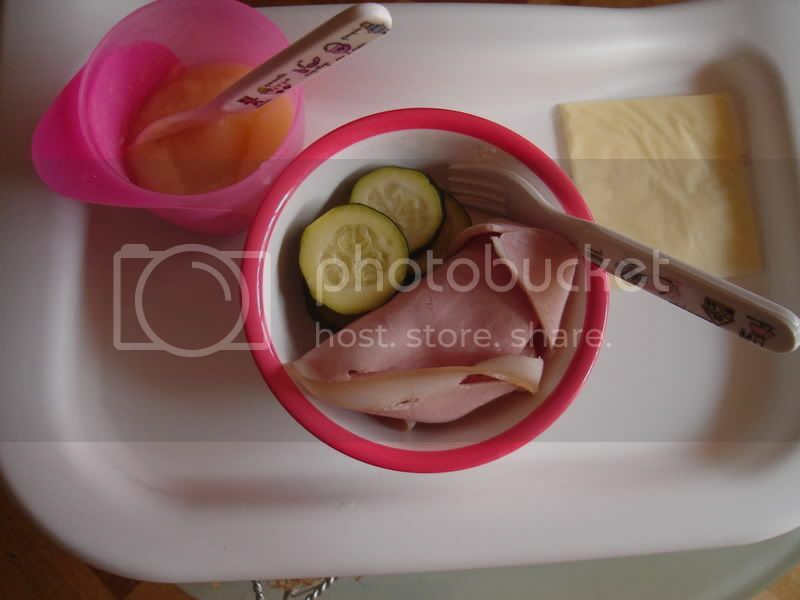 A look at Laetitia's lunches during the week. 1. Steamed Garlic Ginger Chicken seasoned with sesame oil with carots, leeks and potato porridge. A slice of cheese served on the side. (followed by a pot of yogurt for desserts). 2. 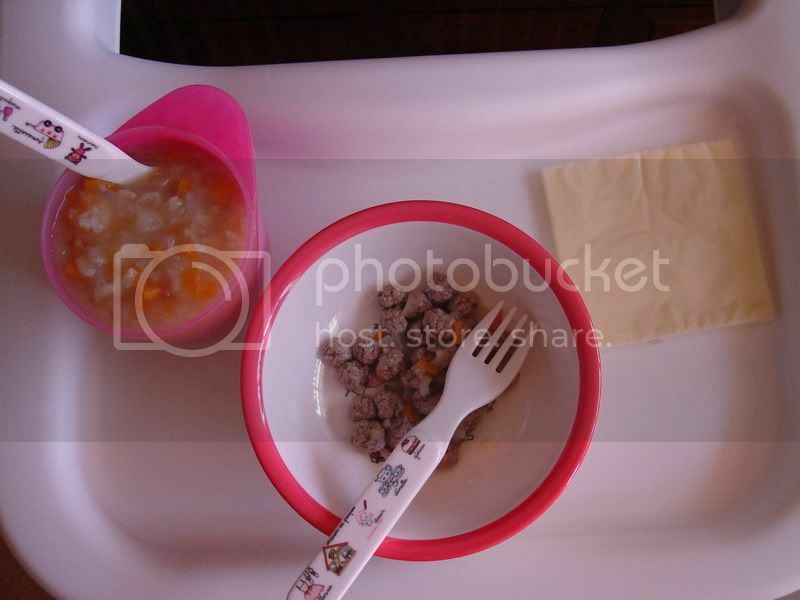 Beef balls seasoned with a dash of curry powder and soya sauce with carots and turnips porridge. A slice of cheese served on the side. (followed by a pot of yogurt for desserts). 3. Ham with steamed zucchini and mashed potatoes. A slice of cheese served on the side. (followed by a pot of yogurt for desserts). All food served with her lovely cutlery set given to her from Sherren.